2) GARDEN PARTY (MoPA, France - CGI - Written and directed by : Florian Babikian, Vincent Bayoux, Victor Caire, Théophile Dufresne, Gabriel Grapperon, Lucas Navarro) Froggy seduction in a grand villa where nature takes its course. 3) LOU (Pixar, USA - CGI - Written and directed by Dave Mullins.) Lou, a very original protagonist, lives in a kindergarten lost-and-found box and takes care of toys and bullies. Superbly designed and animated, as always. 3) NEGATIVE SPACE (IKKI FILMS, MANUEL CAM, France - STOP-MOTION - Directed by Americans Ru Kuwahata and Max Porter) A unique father/son bonding process based on a poem by Ron Koertge. 5) REVOLTING RHYMES (MAGIC LIGHT PICTURES, UK - CGI - Directed by Jakob Schuh and Jan Lachauer - based on the wonderful book by Roald Dahl and the equally wonderful illustrations by Quentin Blake. The writing is the star here as are Blake's inspirational drawings and I can't help wondering why Blake's gorgeous style wasn't used with hand-drawn animation for this. CGI is not the medium for Dahl or Blake. 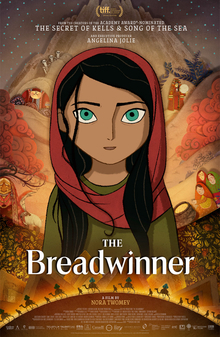 1) THE BREADWINNER - (Cartoon Saloon, Ireland. International co-production:Canada, Ireland, Luxembourg - HAND-DRAWN - Directed by Irishwoman Nora Twomey) Based on the best-selling novel by Deborah Ellis, Parvana, a young Afghan girl must dress as a boy to support her family under patriarchal Taliban rule. 2) BOSS BABY (really?!) (DreamWorks, USA - CGI - Directed by Tom McGrath) Tough baby brother is not warmly welcomed by his big brother. 3) COCO - (Pixar, USA - CGI - Directed by Lee Unkrich. Screenplay by Adrian Molina) Heartwarming and culturally-correct tale of young Miguel's, search for answers during Mexico's Day of the Dead celebrations. Stunning lighting, gorgeous design, lots of skeletons, fine animation. 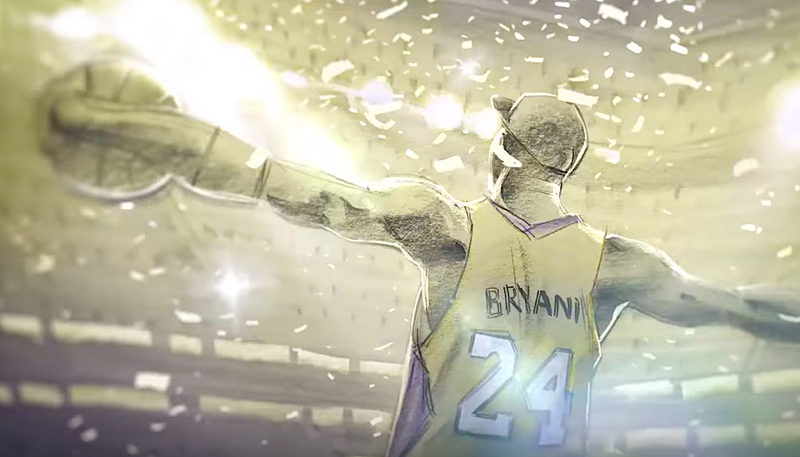 The biggest ever animated hit in Mexico. (Will the new Oscar rule make this an automatic winner or will Academy members vote more judiciously for the winner than they have for the nominations? New Oscar rule: voting for Best Animated Feature is now open to all Academy members who tend to favor big American studios, unlike the animation branch that has more eclectic and educated animation tastes.) Oscar winner. 4) FERDINAND (again, really?!) (Blue Sky/20th Century Fox Animation, USA, CGI - Directed by Carlos Saldanha) - Ferdinand, the giant but sensitive bull escapes his fate. 5) LOVING VINCENT (BreakThru Productions Trademark Films - Poland/UK - HAND-PAINTED - Written and directed by Dorota Kobiela, Hugh Welchman) The story of Vincent van Gogh's death told in rotoscoped oil paintings. Won Best Animated Feature Film Award at the 30th European Film Awards in Berlin.